British actor Christian Bale has revealed that he was indeed approached to star in Solo: A Star Wars Story but he hasn’t lost hope of one day appearing in a Star Wars movie. Christian Bale is arguably one of the best actors working in Hollywood today. He’s proven his ability to star in big Hollywood blockbusters such as the Dark Knight trilogy and also the smaller independent movies such as The Machinist. There’s nothing he can’t do. He’s a brilliant actor, but I don’t need to tell you that. He’s simply the best. 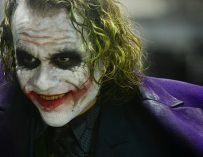 He also appeared in three of my favourite movies of all time: American Psycho, The Prestige and The Dark Knight. You should also check out 3:10 To Yuma if you haven’t already. Anyway, that’s enough about how much I love Christian Bale. 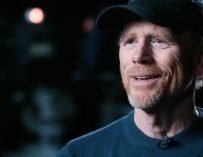 He recently appeared on the podcast Happy Sad Confused where he discussed the fact that he had been approached to star in the Han Solo spinoff movie, Solo: A Star Wars Story. “Yes, [it was] very tempting. I not only love the films going back to my childhood but also have a very long relationship with Kathleen Kennedy and Frank Marshall because they did Empire of the Sun many years back. There was discussion, [and] I hope there will be future discussions,” he said. So we know that he won’t be in Solo: A Star Wars Story, but Bale seems to hold hope that he will be in a Star Wars movie someday and so do I. He’d be a great addition to the Star Wars cinematic galaxy. He didn’t say which character he was in talks to play but I wouldn’t be surprised if it was Woody Harrelson’s character, Beckett, who will serve as a mentor for Alden Ehrenreich’s Han. 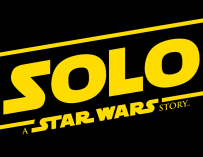 Solo: A Star Wars Story is set to hit UK cinemas on May 25th, 2018, although that date may change. Who knows. Would you like to see Christian Bale is a Star Wars movie? Let us know in the comments below. 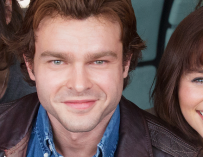 Did This Promotional Cup Offer Our First Glimpse At Alden Ehrenreich’s Han Solo In Solo: A Star Wars Story?